Kirk Bell January 28, 2019 Comment Now! 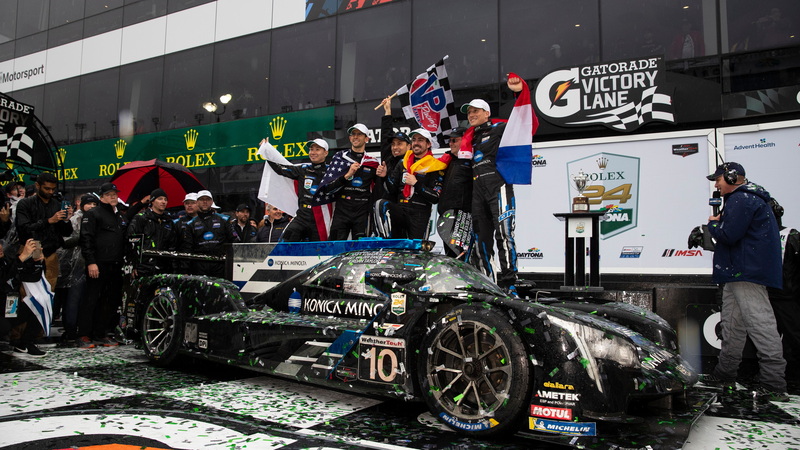 Fernando Alonso's return to the Rolex 24 at Daytona was a successful one, as the two-time Formula One champion won the race and the top DPi class in just his second attempt. Alonso, who retired from F1 at the end of last season, teamed up with drivers Renger van Der Zande, Jordan Taylor, and Kamui Kobayashi to give the win to the no. 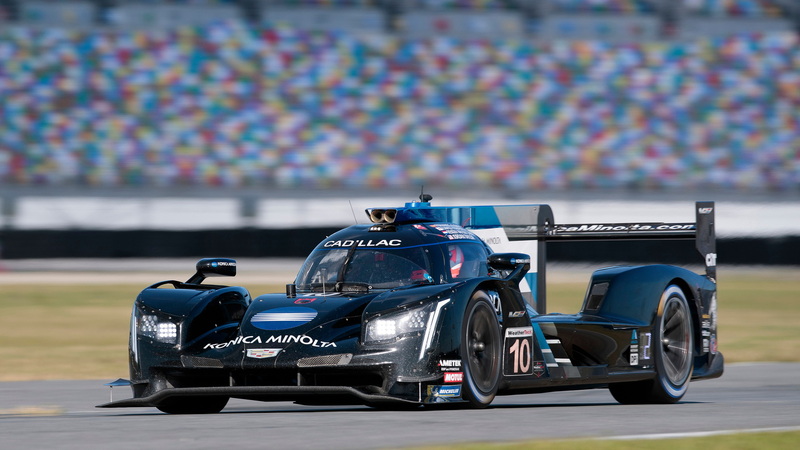 10 Konica Minolta Cadillac for Wayne Taylor Racing. 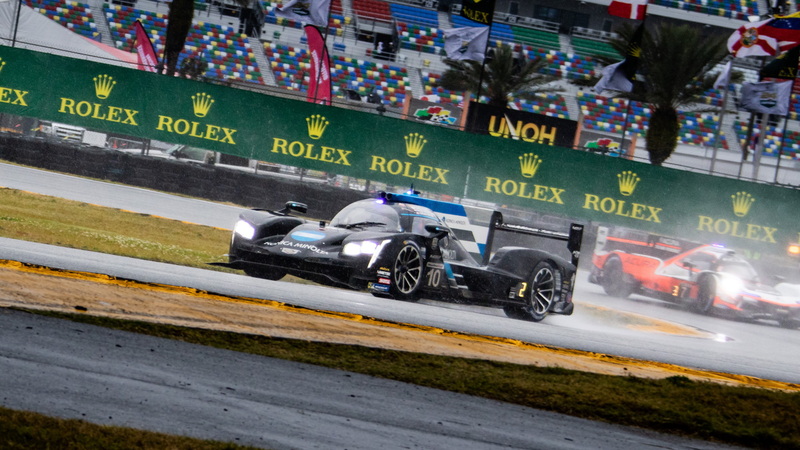 The first race of the IMSA WeatherTech SportsCar Championship season featured two red flags due to rain for the first time ever and ended at 2:25 pm Eastern time with about 10 minutes to go under the second rain-soaked red. The rain began in the middle of the night about 16 hours into the race, and much of the next eight hours were either run under the red or yellow flags to prevent crashes due to hydroplaning. Alonso took the lead for good when Felix Nasr in the no. 31 Whelen Engineering Cadillac DPi-V.R ran wide in turn one on the wet track with about two hours to go and gave Alonso the opportunity to pass. The final red came out shortly thereafter. The no. 7 Acura Team Penske Acura ARX-05 DPi finished third in class and third overall. Alonso also won last year's 24 Hours of Le Mans and will compete in this year's Indianapolis 500 in an attempt to claim the so-called triple crown of racing. The race marked a successful debut for the BMW M8 GTE in the GTLM class. Drivers Augusto Farfus, Connor DePhilippi, Phillip Eng, and Colton Herta drove the BMW Team RLL no. 25 car to the class win and a 10th-place overall finish for Rahal Letterman Lanigan Racing. The Risi Comptetitione no. 62 Ferrari 488 GTE finished second in class, and the no. 912 Porsche Team GT Porsche 911 RSR took third. The other BMW M8 GTE featured a steering wheel fitted with hand controls so two-time CART champion and former F1 driver Alex Zanardi could compete. The steering wheel could be swapped out when Zanardi, who lost in legs in a crash at Lausitzring in 2001, got in the car. Unfortunately, a problem with that steering wheel put the car behind the wall for 18 laps and resulted in a last-place finish in the class. In the GTD class, the team of Christian Englelhart, Mirko Bortolotti, Rolf Ineichen, and Rik Breukers drove the GRT Grasser Racing Team no. 11 Lamborghini Huracan GT3 Evo to the class win and a 17th-place overall finish. They were followed by the Montaplas by Land Motorsport no. 29 Audi R8 LMS GT3 and the AIM Vasser Sullivan no. 12 Lexus RC F GT3, both in the class and overall. 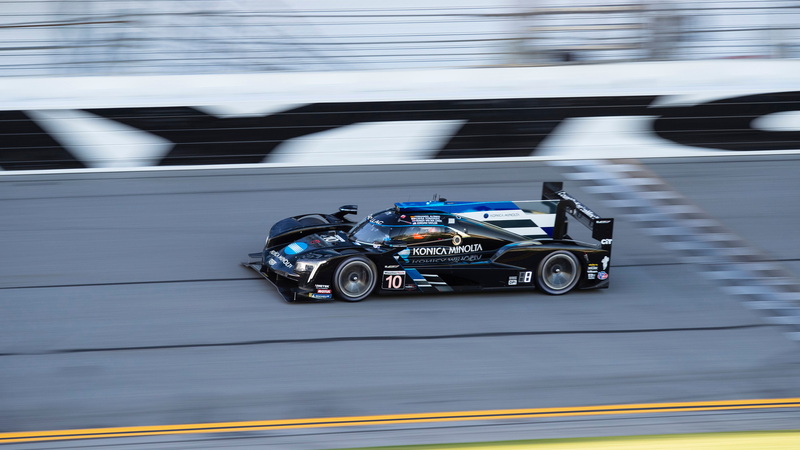 In the LMP2 class, the team of Sebastian Saavedra, Roberto Gonzalez, Pastor Maldonado, and Ryan Cullen took the win and placed sixth overall in the DragonSpeed no. 18 Oreca. The no. 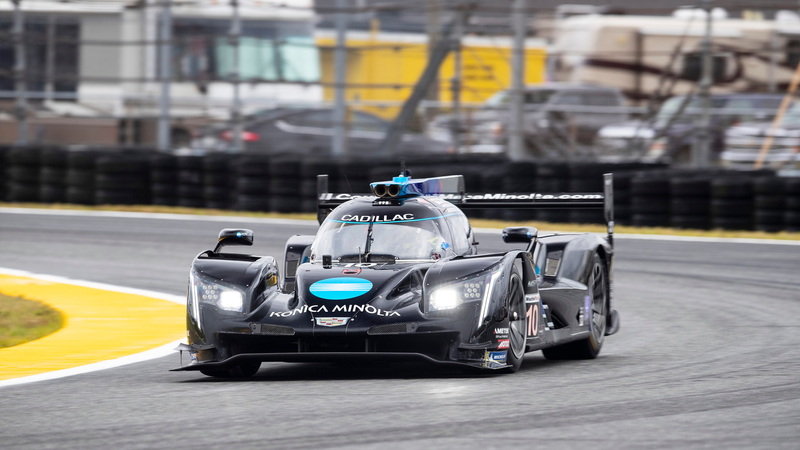 38 Oreca took second in class and seventh overall in the no. 62 car, while the no. 81 Oreca took third in class and 15th overall.